Earlier today, “06880” reported that the Meatball Shop will open its 8th restaurant this spring in Westport. The location has just been confirmed. They’ll be serving ‘balls in what was, most recently, The ‘Port. The family-style restaurant closed last June. National Hall has seen a lot, since it was built in the early 1800s. It’s housed the Westporter Herald newspaper, Horace Staples’ bank (and, very briefly, the first classes of his high school). 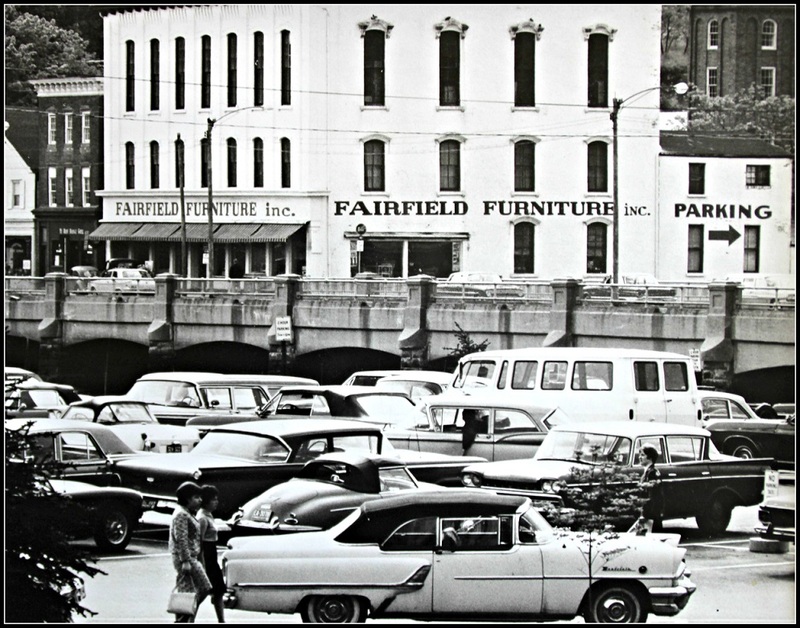 It was the site of the town meeting hall, and — for many years — Fairfield Furniture. 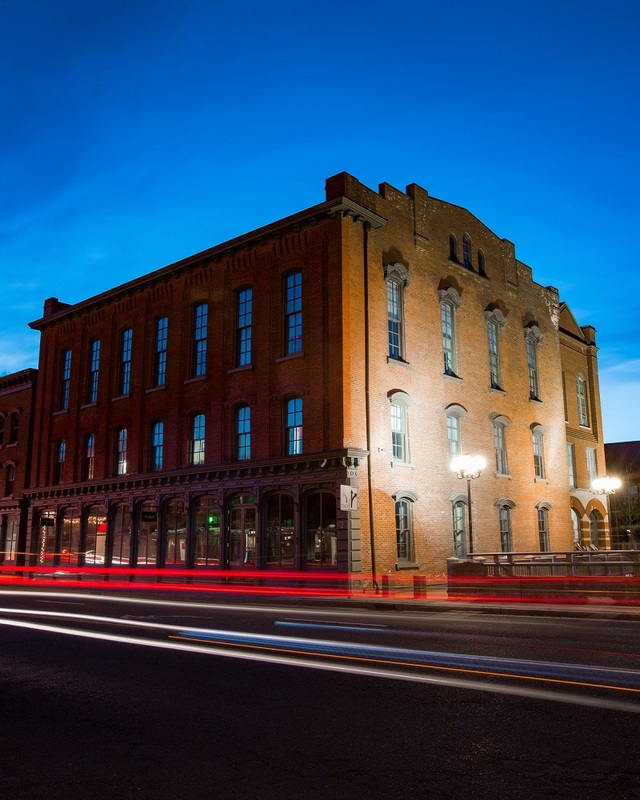 He and his family converted National Hall into an inn and restaurant of the same name. Several other restaurants later occupied that prime ground floor space. Now it’s ready for its next phase. You can only get meatballs (of many kinds, for sure) at the Meatball Shop. But — with Arezzo, OKO and Bartaco all just steps away, and David Waldman’s new project at the old Save the Children headquarters moving quickly along — the west bank of the Saugatuck River just got a little spicier. 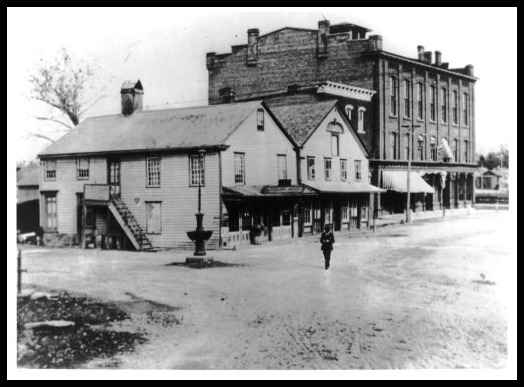 National Hall: The view from Post Road West, even further back in the day. 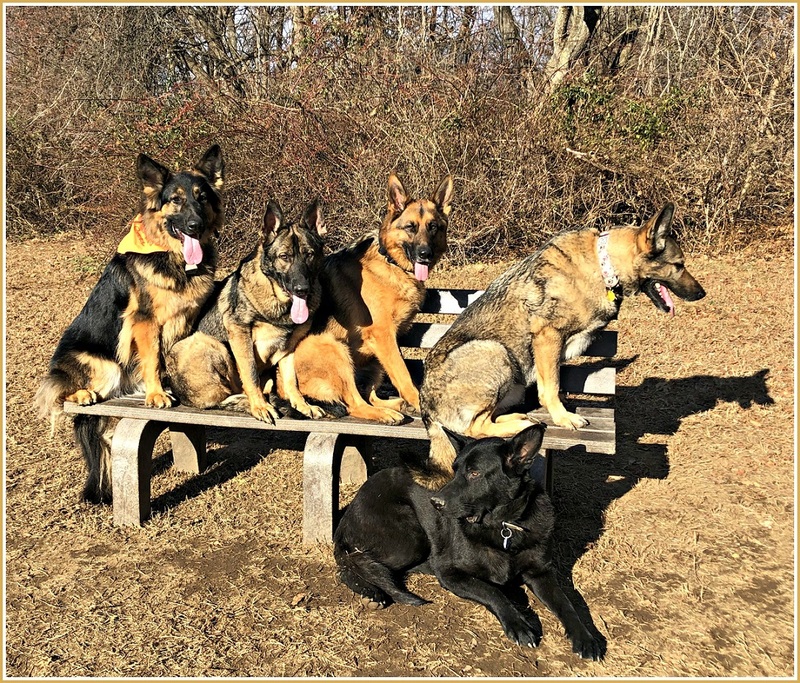 I was on my last walk of the day, with 5 of my most well-behaved dogs. Winslow Park was almost empty. Mike the builder and I don’t know each other well. But he’s good friends of a friend of mine. We decided to do a loop around the trails together. It was a cold day. The dogs were frisky and playful. Halfway around the loop, a golden retriever I was walking ran from behind me, and clipped my right side. My feet went out from under me, and I put out my right arm to break my fall. The impact jammed all my weight into my elbow. I knew right away something was terribly wrong. The dogs also sensed it. One licked my face as I lay on the ground. Mike tried to help me up several times, but I felt like I was going to faint. This went on for 20 minutes. No one passed us the entire time. Finally, I was able to stand. Mike helped me back to my car. He suggested I call the owners to come pick up their dogs. But no one was home. Mike realized he could not leave me there. I was in shock, and unable to drive. So he loaded the dogs in my car, and added his to the group. We dropped the 5 dogs off: one by Clinton Avenue, then over to Marion Road, then toward the beach on Grove Point. When the last dog was dropped off, Mike took me to Norwalk Hospital. I had 2 broken bones in my elbow. I’m in a splint for 6 weeks, then physical therapy. I know Mike had other plans that afternoon — I heard him cancel some appointments. The entire ordeal took a few hours. But the entire time Mike was cheerful, trying to distract me from my pain and distress. I don’t know what I would have done if Mike Greenberg hadn’t been there. He was my guardian angel — and my unsung hero. Martha Aasen remembers when Westport’s Senior Center was part of Staples High School. Two small rooms were hidden between the fieldhouse and wood shop. It was open just a few hours a day. Lunch came from the school cafeteria. In 2003, a new Senior Center opened on Imperial Avenue. It was a spectacular improvement. Bright and airy, it was filled with rooms for meetings, lectures, fitness and films. There was a library and dining room too. Seniors flocked there for events, classes and camaraderie. That was 15 years ago. When First Selectman Jim Marpe cuts a ribbon tomorrow (Friday, January 4, 11 a.m.), Westporters of all ages will marvel at the first major enhancement of the Senior Center since it opened. The 9-month project comes in on schedule — and on budget. The town appropriated $3.975 million. Friends of the Senior Center raised $300,000 for equipment and amenities. (Clockwise from lower left): Martha Aasen, Leslie Wolf, Stan Nayer and Sue Pfister in the lobby of the newly modernized Senior Center. 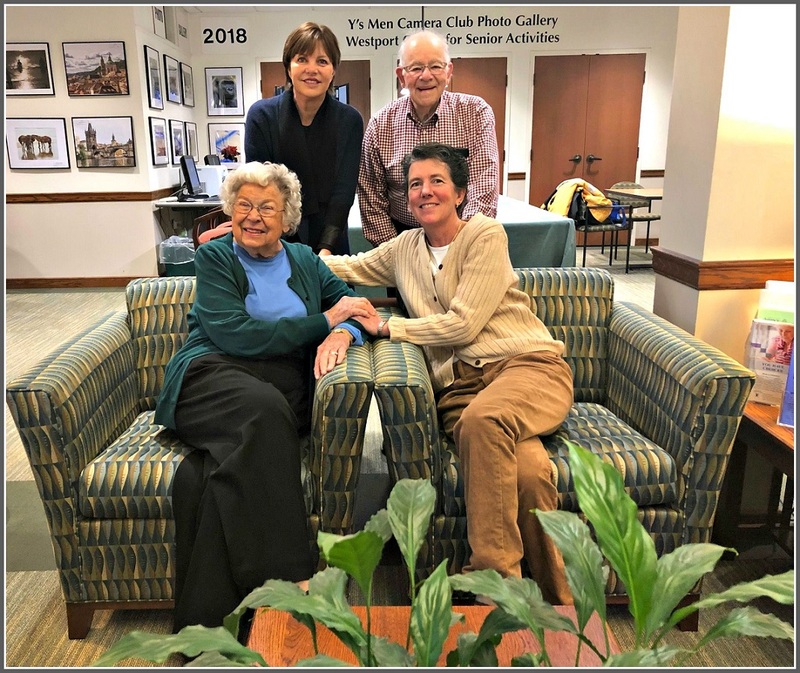 Last week, Senior Center director Sue Pfister, Friends president Leslie Wolf, and Aasen — now in her 90s, and as passionate about the Center as ever — offered a tour of the new facility. It blends seamlessly with the original. New restrooms with showers (for when the Senior Center is used as an emergency shelter). 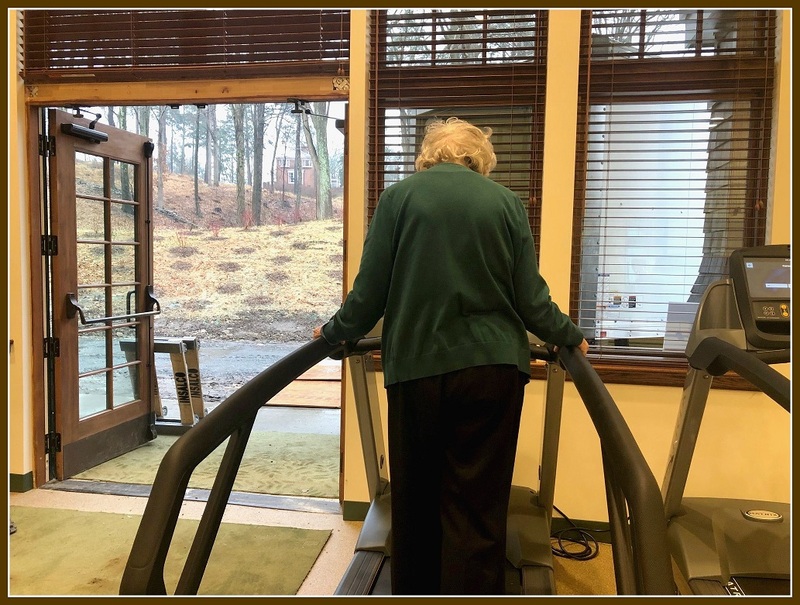 Martha Aasen on the new treadmill. Doors open onto the Baron’s South park. 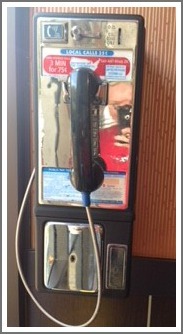 Other parts of the Senior Center have been modernized too. 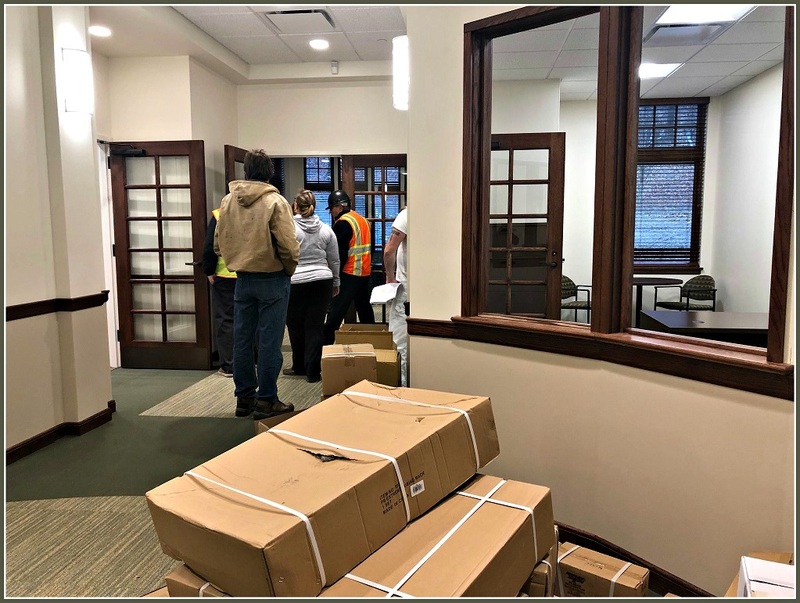 There are new floors, chairs and tabletops in the “Sue’s Cafe” dining room (where “grab-and-go” food will soon be available); a new wood floor next door, for dance classes; a second art room, and a handsome new custom desk in the entry foyer. “It’s even better than we envisioned,” says Aasen — who was closely involved in the project — proudly. 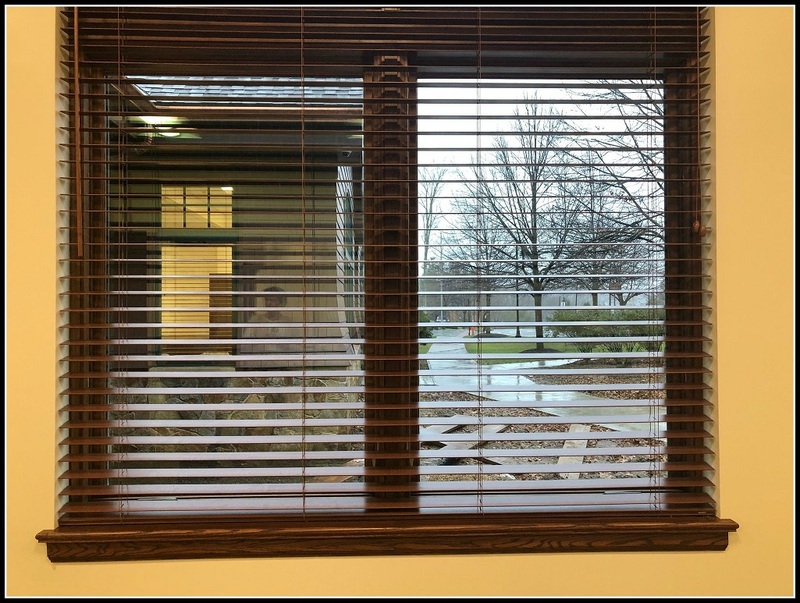 New windows provide the same airy look as the original wing of the Senior Center. The Senior Center director credits the project’s smooth completion to “tremendous cooperation” from local officials. The Building Department’s Steve Smith, the Department of Public Works, and Parks & Recreation director Jen Fava were all all-in. Architect Brian Scheuzger designed the original building too. A.P. Construction — which is also handling the Westport Library’s Transformation Project — did all the work. The Senior Center attracts a wide range of people, Pfister notes: Those who are very active; those looking for quiet activities; those who want to meet old friends, and those seeking companionship. It’s a welcoming facility for some, a second home for others. Now — for all of them — Westport’s Senior Center is better than ever. Workers were still finishing up — and unloading furniture — last week. 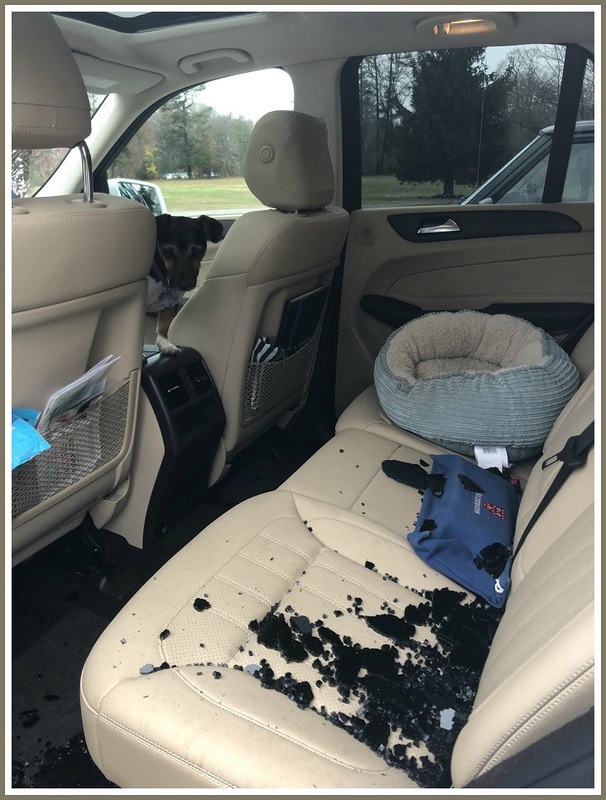 My car was broken into yesterday in the Winslow Park parking lot on Compo Road. I arrived at 1 p.m. Twenty minutes later, when I returned to my car, the passengers window had been smashed. My purse and briefcase were taken from the car. Apparently, others there at this time said, this happens frequently. I’d like to warn everyone going there to leave valuables at home. This was not a crime of opportunity. Apparently the same thing happened last week, and others have said “frequently.” Someone knows the drill and is watching the parking lot. Perhaps some video surveillance or an increased police presence might be a deterrent? The other day, alert “06880” reader Alan Hamilton was checking out Westport’s Wikipedia page. 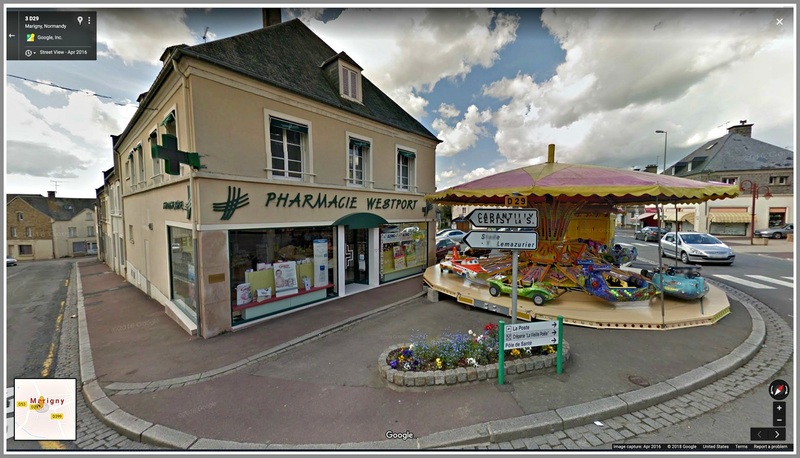 He noticed we have 3″sister cities”: Marigny-le-Lozon, France; St Petersburg, Russia, and Yangzhou, China. I guess we’re one of those families where siblings don’t really communicate. It’s been ages since we’ve chatted with our French, Russian and Chinese sisters! But Alan wanted a closer relationship. He took a virtual drive — aka Google Street View — through Marigny. He wondered if there is a story to this. Right after D-Day in 1944, Westporter Bob Loomis — a gun sergeant — ended up in Marigny. It’s just 25 miles from Utah Beach. A couple of weeks later another Westporter — heavy machine gunner Clay Chalfant — moved through Marigny with his company on their way to Belgium. Woody Klein’s history of Westport notes that after the war Charlotte MacLear — head of the French department at Staples High School — sparked a campaign to “officially adopt Marigny” and help its recovery. Our town sent clothes, money and Christmas gifts, thanks to fundraising that included selling toys and buckets with designs painted by Westport artists. Camilla Moe Røisland spent more than 20 years as a news presenter, reporter and producer for TV and radio, in her native Norway. She worked in communications for the oil, gas and shipping industry, and for unions and organizations. Last year, she, her husband and 3 children moved to Westport (he works in wind farms). Camilla found an outlet for her creativity: chronicling the ups, downs, ins and outs of life in her new country. 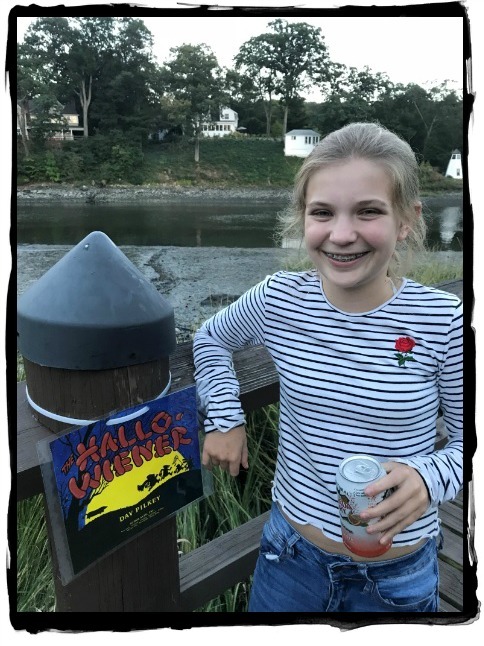 “Camilla Blogg” describes the beauty many of us take for granted — the beach, for example, and Saugatuck Island. She also sees jarring sights many of us never think of — like the “Private Property” signs that keep so many others from enjoying much of our beautiful shoreline. A recent entry explored her neighborhood. She saw it through fresh eyes. Now let’s look at our town through hers. When we moved to Westport a year ago, an area known for its prosperity and many “stay-at-home wives,” several people wondered if our new neighborhood would be similar to the 1990s’ “Desperate Housewives” series. I was excited myself, and a little anxious about what I would experience. 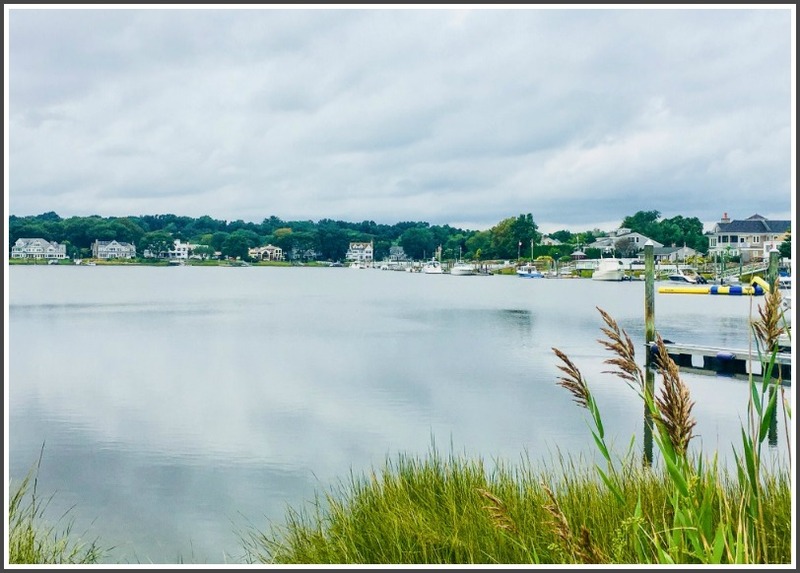 Various factors made us choose to settle in this affluent city of Westport in Connecticut, a beautiful place on the eastern coast of the United States. The neighborhood we ended up in was more random. The only advice before we tried to find a place to live came from Aunt Tove. She is married to our American Uncle Pat. Her whole family lives in Minnesota. “Just keep away from the areas where the most wealthy people live. 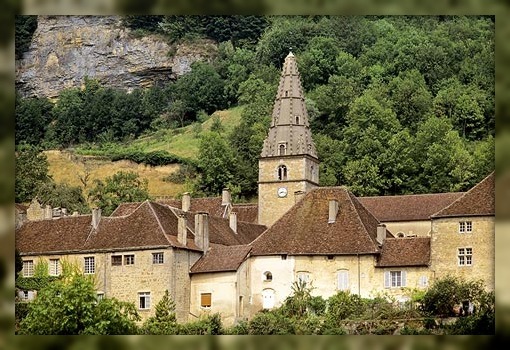 These people, in their huge houses and gardens, have usually enough with themselves,” she told us. I usually describe the big houses of Westport as “castles ” and “mansions.” Several of these homes are amazingly beautiful, but when some of them are hidden behind tall fences or hedges, or are far from the road, it is not easy to create the unpretentious, random and often good contact with neighbors. Many of these large homes are on busy roads without pedestrian areas too. It is difficult to meet neighbors while driving back and forth to your garage, which is part of your main house. There are some close neighborhood in Westport: those living near the sea, places with little traffic and where the distance between the houses is not too big. It also means a lot if homes have a common meeting point, such as a beach, playground, etc. If you can walk along the road in the neighborhood, you are also more able to chat with others. I often talk to other dog owners when I go for a walk in our neighborhood. My English girlfriend, on the other hand, cannot walk in her neighborhood because there are no sidewalks. She must play with the dog in her own garden, or drive elsewhere. The neighborhood we ended up living in was picked by coincidence. The house seemed nice, the rental price was within our budget, it had enough room for a family of 5, and seemed to be in a quiet, beautiful area with hiking opportunities not far from the sea. The meeting with an older woman on a bike, originally from the Netherlands, also meant a lot. This Dutch woman had lived in Westport for 20 years. 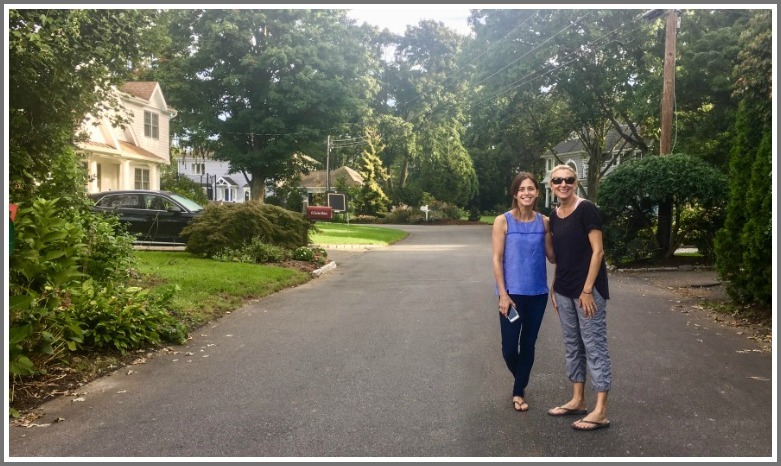 When I explained that we had the choice of moving to Darien or Westport, she gave a very convincing answer: “Westport is the best place, no doubt about it. It is lovely with all kinds of people, from artists to people working in investment banks. It is a very diverse community with a lot of nice, open minded people. Now, one year after moving to this little neighborhood on the coast of Long Island Sound, I admit we have been very lucky with both the choice of Westport and our neighborhood. Even if the houses and gardens are smaller here near the sea (much more expensive per square meter due to the location) and there are fewer pools and tennis courts (sounds wild and maybe a bit disgusting, but I am not complaining about it! ), it is wonderfully cozy. Neighbors gather on the beaches or at each other’s house. There are barbecues, we share some wine, people invite you for coffee and we all enjoy a more relaxing life, especially during the summer. The kids cycle or run between the houses, play basketball in the driveways, kayak, paddle board, and go out boating. It all reminds me a little of the life we ​​lived back in Norway. I like to chat with someone jogging or passing by, and with the mothers who each day follow their children to the school bus. Some nice neighbors invited us for lunch, and we`ve been drinking wine and coffee at someone else’s house. My husband has been taught how to play paddle tennis by one, and we have made some of our best American friends not far from here. We do not have family here, so these people are important for our well-being in our new country. What I like about Westport in general, and our neighborhood in particular, is that people of all ages with different backgrounds live here. There is a stand-up comedian, a talented musician and producer, a wonderful lawyer couple, and many “stay-at-home moms” like myself. Even Olaf lives here. He is a charming Norwegian who started to work here several years ago, married a beautiful American woman and never returns to Norway except on holidays. For creating a good neighborhood and communities, you need engaged and enthusiastic people. We find them all over the world, including here. These are people who take initiative to create and maintain traditions to meet. They care about the community and their neighbors. In our neighborhood people open their houses so all – old and young, veterans and newcomers – can meet for a Christmas party, etc. Everybody brings something. 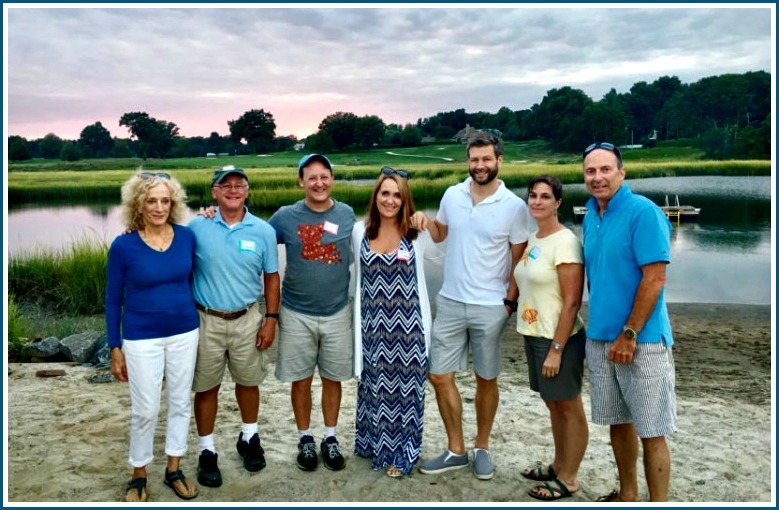 We also meet on our little local beach to greet the summer, and were recently at our very first clambake, with whole lobsters, corn and other delicious food. We also saw photo albums that showed how our little “Association” has developed over the years. Fun! 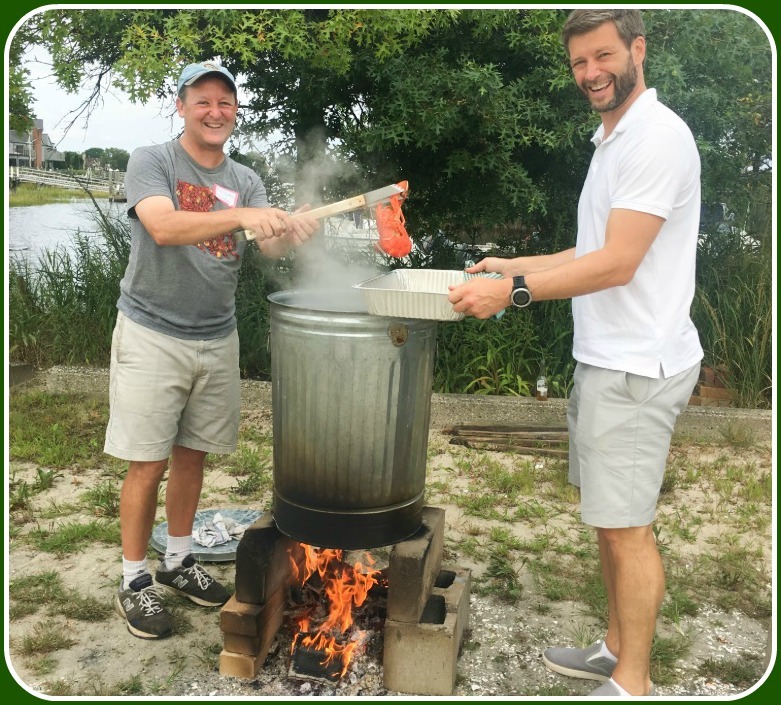 It was a real nice clambake. Aunt Tove was right that it is easier if you move to an area where people live closer to each other, and not high fences between the gardens. Whether people are rich or not has nothing to do with their kindness as neighbors, unless they choose to hide in their own home and garden. What makes a good neighborhood is the people. Here, the people are accommodating and kind. I have so far not found any intrigues like in “Desperate Housewives” (in Norway called “Frustrated Housewives”). I have not seen a handsome “pool guy” like the one in this series either. Unfortunately, some would say. But without a pool, how can you have a pool guy? Of course, I have to admit I am often frustrated –- whether because of the political debate and governance of this country, or being a stay-at-home mum with all those duties, and what that life lacks at times. It is natural to be frustrated sometimes – both for you back in Norway, and for us here in Westport and in the rest of the US. On the other hand, I do not think most of us are desperate, as the English title of the series indicates. At least not that I am aware of, and at least not for now. Beachside Common is one of Westport’s hidden gems. The 18 homes — 33 adults, 24 children — nestle up against Burying Hill Beach and Sherwood Island, off Beachside Avenue. With no through traffic, it’s tight-knit and neighborly. Shortly after Nico and Robin Eisenberger moved in 5 years ago, she had a minor operation that limited her mobility. The couple had not said a word — but they found warm dinners delivered by neighbors to their doorsteps, 11 days in a row. 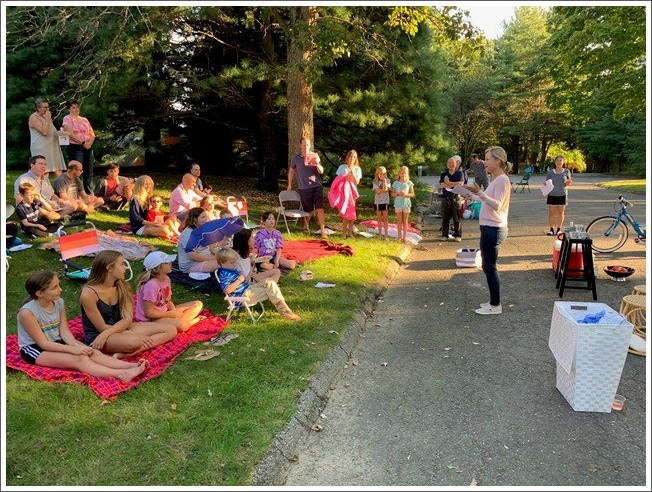 Beachside Common also throws an annual block party. Kids play, everyone eats, adults drink, and someone brings out a guitar. This year, the Eisenbergers decided to add something new. For years, Nico has wanted to act — for fun. As he learned of and seen Westport’s rich arts history, the urge grew. 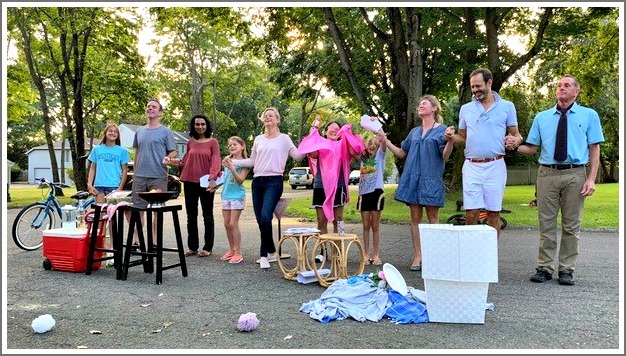 He remembered his childhood in Bernardsville, New Jersey, when neighbors staged a yearly play. The lightbulb lit up: Let’s do it here! The Eisenbergers’ next door neighbor, Alli DiVincenzo, is a popular logo, brand and website designer for businesses and organizations. She’d also just written a short book, poking gentle fun at affluent communities. It’s funny, ironic, and ends with a splash of redemption. Why not turn her book into a play? 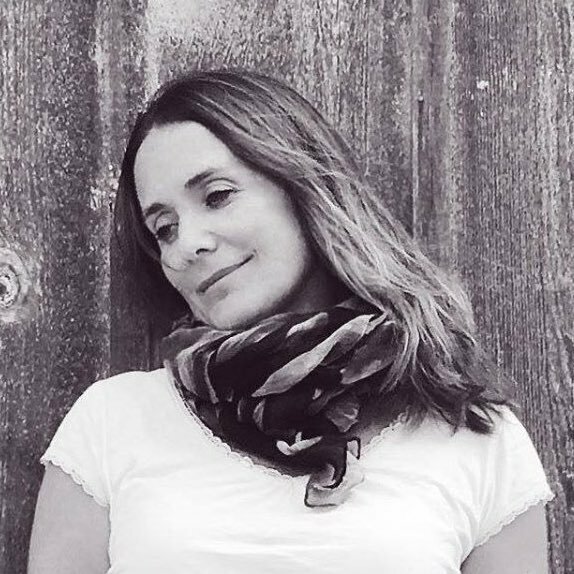 Laura Pendergast — a common friend, fellow Greens Farms Elementary School parent and owner of TheaterCamp 4 Kids (who also teaches adults to act) — quickly adapted Alli’s story. Then she offered to direct it. Last Saturday, Beachside Common held its annual block party. And its first-ever play. … and the Beachside Players. “There’s nothing particularly momentous about this story,” Nico says. “The cast were rank amateurs. The staging — in the middle of the street — was basic. The performance was barely passable. “But it was memorable for both our small audience and the performers. We stepped out of the uber-busy, uber-online, world-in-turmoil, everyone-for-themselves environment. We did something in-person and creative together. Will the Beachside Players return?